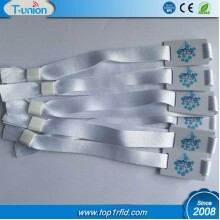 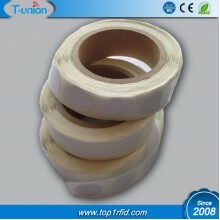 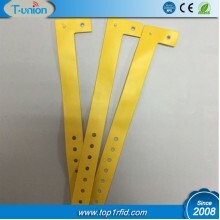 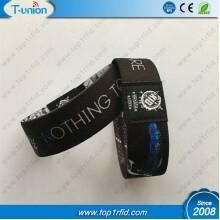 NFC Tag fully utilizes the NFC technology, which is high bandwidth, low energy consumption, and has the advantages of high security, quick certification linked and low price of chip. 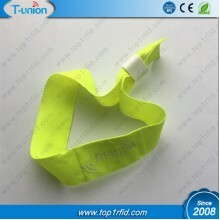 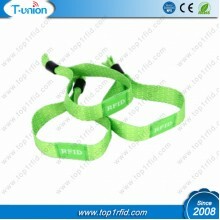 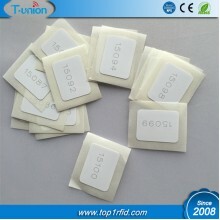 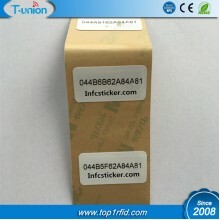 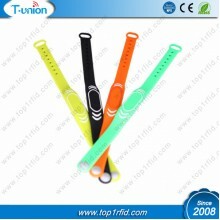 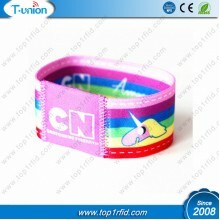 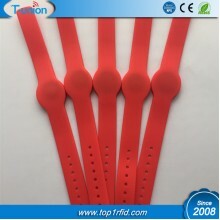 Reading range of NFC Tag is 0-5cm (related with the size of the antenna and power of reader). 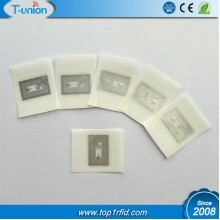 Specification:IC:Ntag213Memory : 180bytes (total ) ,144bytes (user)Frequency :13.56MHZMaterial: Pape..
Specification:Item:NFC Epoxy TagMaterial:PVC+ EpoxySize:28x32MMChip:Ntag213 / 215 / 216Memory:144/ 5..
Specification:Item:Ultralight C NFC Fabric WristbandChip:Ultralight CMemory:192bytesTag Material:PVC..
Specification:Item: NFC WristbandChip:Ultralight Memory:64bytesMaterial:PVCSize:252x20MMAvailable Ar..
Specification:Item:S50 RFID WristbandChip:S50Memory:1KbytesSize:19x240MMAvailable Artwork:Logo Print..
Specification:Item:NFC Woven WristbandChip:Ntag213Memory:144bytesTag Material:PVCTag Size:42x26mm / ..
Specification:Item:ISO14443A NFC Elastic WristbandChip:Ntag213Memory:144 bytesMaterial:PolyesterSize..
Specification:Item: NFC Event WristbandChip:NTAG213Memory:144 bytesMaterial:Polyester+Woven Si..
Specification:Item: Ntag213 NFC Event Elastic WristbandChip:Ntag213Memory:144 bytesMaterial:Polyeste..
Specification:Item: Satin Ribbon NFC WristbandChip:Ntag213Memory:144 bytesMaterial:PolyesterSize Ava..
Specification: Item: NFC Silicone WristbandChip:213/215/216Memery:144/504/888 bytes)Size:..
Specification:IC:Ntag213Memory : 180bytes (total ) ,144bytes (user)Frequency :13.56MHZMaterial:PETAv..